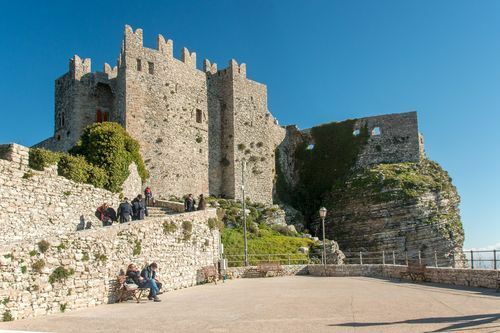 Erice is a world-famous town of art, with breathtaking views, its confectionery, the craft pottery and the "Ettore Maiorana" scientific research centre. Erice once was also the religious capital city of the legendary Elymian folk. Located in the northwestern part of Sicily, Segesta is a historic city that was founded by the Elymians and is no longer inhabited. The ancient capital of the Elymian people, clearly of Greek/Phoenician origins, gives the visitors a picturesque journey in time in the era of Great Greece and of the Punic Wars. The ruins of the city are located on Mount Barbaro, in the municipality of Calatafimi-Segesta, about 10 km from Alcamo and Castellammare del Golfo. Of particular interest are the temple in Doric style and the amphitheater, partly dug into the rock of the hill. Mozia was the largest and most important Phoenician outpost in Sicily, located in the midst of a fascinating lagoon of outstanding natural interest. Access to the island is only allowed from two landing stages, which connect the mainland to Mozia and the other islands and islets of the lagoon. Otherwise private vessels are not allowed to land on the island of Mozia. In ancient times there was an underwater road, now no longer in use as it is covered with seaweed. There is still today another underwater road extending from Cape S. Teodoro to the northern tip of Isola Lunga, not far from where the Marsala Punic ship was found. 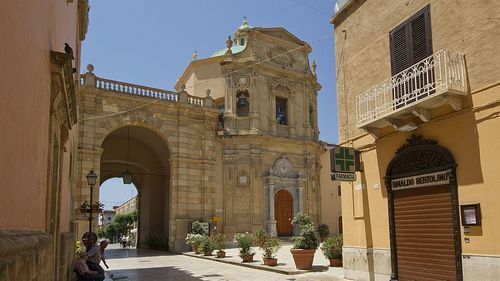 Known around the world for its fortified wine, the Marsala municipality counts about 85,000 inhabitants. It rises on the ruins of the ancient Lilybaeum, a Carthaginian and then a Roman city; its territory hosts the Regional Natural Reserve of the Islands of the Stagnone Lagoon. Its foundation is closely linked with that of Mozia, one of these islands, founded in the 8th century BC, which was a major Phoenician outpost. The few houses of fishermen that made up most of the village up to the 1970’s have gradually become more and more numerous, turning it into a lovely typically Mediterranean seaside town. San Vito Lo Capo is now one of the last natural heavens in Italy, a famous seaside resort in Sicily known for its red soil, tropical beaches, blue sea and very good food. Speaking of food, San Vito Lo Capo’s Cous Cous festival, held in the last week of September, has become increasingly popular over the years. The Zingaro ravishes with its harsh beauty, its deep colours in every season, its white coves on a turquoise sea, the ubiquitous saw palmetto, the lush Mediterranean vegetation, the tenacious wild olive trees and the majestic carob trees from where you see can the graceful shapes of the few farmhouses. The Zingaro is a terrestrial reserve but it is closely connected to the sea, which is not only its geographical boundary but also the ubiquitous backdrop of its landscapes and the essential complement of this natural paradise.